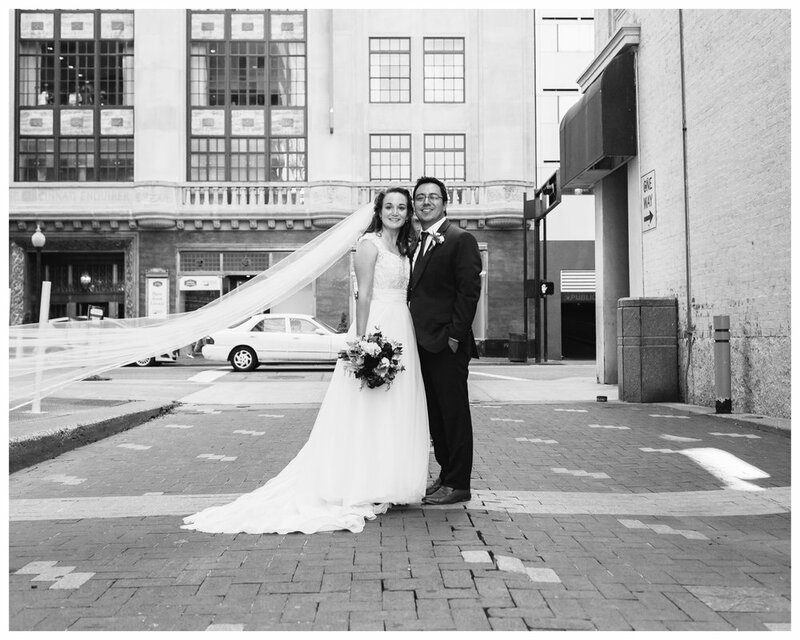 Laura and Abe were married at Crossroads in Oakley and had their reception at the Backstage Event Center in Cincinnati. During the ceremony the officiant read letters aloud that showed just how much Laura and Abe love each other. It is always such a personal touch to a ceremony when their own feelings for each other are expressed like this. You really could feel how much they love each other and how their lives truly are centered around Jesus.